Cite page (MLA): Wisnicki, Adrian S. "Why Should We Read Livingstone’s Manuscripts?" Megan Ward, ed. Livingstone Online. Adrian S. Wisnicki and Megan Ward, dirs. University of Maryland Libraries, 2015. Web. http://livingstoneonline.org/uuid/node/2fad8685-ae1e-42f2-815a-4d94a94025a7. This section outlines Livingstone's importance as an imperial travel writer, the topics that he covers in his writings, the geographical extent of his travels, the potential of his manuscripts to inform research in many disciplines, and the overall importance of Livingstone's manuscripts for understanding both nineteenth-century and contemporary global events. Many critics and historians regard David Livingstone as the single most important British imperial travel writer of the nineteenth century. His writings illuminate European imperialism and colonialism, African history, and the nineteenth-century slave trade, all of which continue to affect our present day world. Letter to Henry White, 3 October 1857, by David Livingstone. Copyright National Library of Scotland: Creative Commons Share-alike 2.5 UK: Scotland; and Dr. Neil Imray Livingstone Wilson (as relevant): Creative Commons Attribution-NonCommercial 3.0 Unported. 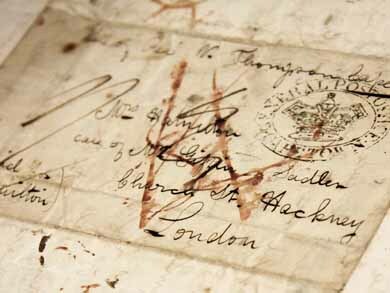 Livingstone’s letters and other manuscripts also provide an exemplary case of how scientific and political networks across the Victorian globe were set up. Livingstone, both when abroad and at home, mobilized domestic and foreign resources to create a career mostly spent 5,000 miles from Britain. Livingstone’s correspondence reveals the practicalities of how empires are created and managed. Livingstone's three long-term visits to Africa (1841-56, 1858-63, 1866-73) took him through the countries that today constitute South Africa, Botswana, Zambia, Angola, Zimbabwe, Malawi, Mozambique, Tanzania, and the Democratic Republic of the Congo. He became the first European to make contact with a range of previously “unknown” African tribes, to cross Africa from coast to coast, and to describe and name Victoria Falls and many other interior geographical features. The scope of these studies testifies to the range of unique information available in Livingstone’s texts. Access to the manuscripts – only a small percentage of which had been edited to modern standards and published prior to the inception of Livingstone Online in 2004 – can expand our understanding of the production of both nineteenth-century scientific knowledge and nineteenth-century African and British imperial history. The manuscripts also illuminate broader nineteenth-century Anglophone strategies for representing foreign peoples, cultures, and practices. Far from being relics of the past, these strategies continue to influence how Western culture represents people around the world. Bridges, Roy C. Rev. of David Livingstone: A Catalogue of Documents. The Scottish Historical Review 60, no. 170, Part 2 (October 1981): 201–02. Cashdan, Elizabeth. 1987. “Trade and Its Origins on the Botletli River, Botswana.” Journal of Anthropological Research 43 (2): 121–38. Dritsas, Lawrence. 2005. “From Lake Nyassa to Philadelphia: A Geography of the Zambesi Expedition, 1858-64.” British Journal for the History of Science 38 (1): 35–52. Du Toit, André. 1983. “No Chosen People: The Myth of the Calvinist Origins of Afrikaner Nationalism and Racial Ideology.” American Historical Review 88 (4): 920–52. Endfield, Georgina H., and David J. Nash. 2002. “Drought, Dessication and Discourse: Missionary Correspondence and Nineteenth-Century Climate Change in Central Southern Africa.” Geographical Journal 168 (1): 33–47. Flint, Lawrence S. 2003. “State-Building in Central Southern Africa: Citizenship and Subjectivity in Barotseland and Caprivi.” International Journal of African Historical Studies 36 (2): 393–428. Koivunen, Leila. 2009. Visualizing Africa in Nineteenth-Century British Travel Accounts. New York: Routledge. Larner, A.J. 2004. “Ophthalmological Observations Made During the Mid-19th-Century European Encounter With Africa.” Arch Ophthalmol 122: 267–72. McCracken, John. 1977. Politics and Christianity in Malawi 1875-1940: The Impact of the Livingstonia Mission in the Northern Province. Zomba, Malawi: Kachere Series. Piearce, G.D. 1985. “Livingstone and Fungi in Tropical Africa.” Bulletin of the British Mycological Society 19 (1): 39–50. Rijpma, Sjoerd. 1996. “Malnutrition in the History of Tropical Africa.” Civilisations 43 (2): 45–63. Sheriff, Abdul. 1987. Slaves, Spices and Ivory in Zanzibar: Integration of an East African Commercial Empire into the World Economy, 1770-1873. London: James Currey.